The Branson-Hollister Senior Center is requesting more volunteers. There are opportunities to serve behind the scenes in the kitchen or out on meal delivery routes. “Lots of times, we are the only people that these older folks get to visit with and to see. We just get attached to them,” Gaylene Coots said. 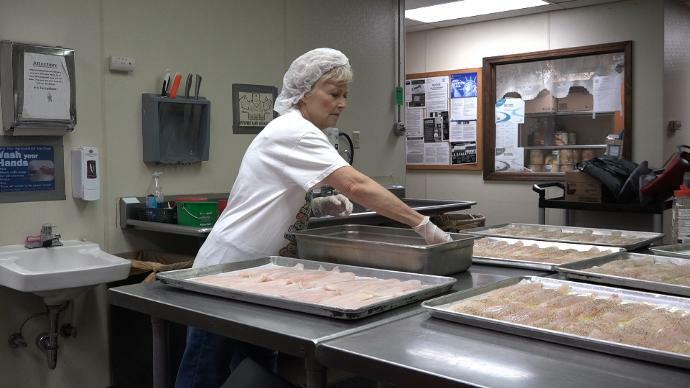 With up to 1,000 meals total served each week, the center relies heavily on volunteers. “We probably have around 50 to 70 that work a couple hours a week, but we could always use more,” Administrator Lisa Arnold said. Arnold says the center is a very popular place for not only good food, but also good friends. “A lot of them, this is their life, this is their outing, this is what they do and they look forward to it every day,” Arnold said. While the center receives some government funding, keeping up with the customers depends partly on volunteers, many of whom are seniors themselves and encourage others to get involved. “Life is short. We don’t want to stay home and be couch potatoes when there’s all this to share with people. I think once you get started, you’re going to love it. Just take that first giant step,” Claudia Miller said. They say its not only about helping others, but also helping yourself. “It’s a feeling of accomplishment,” Coots said. At the center, there’s something for anyone who wants to help. “It’s great I’m mean everyone is welcome here so the more the merrier,” Arnold said. For more information about volunteering, get in touch with the senior center at (417) 335-4801.